If you pay attention to financial news, you may have heard the term “VantageScore” being discussed lately. What is a VantageScore? Do you have one? How do you get one? How is this different from a regular credit score? Let’s take a closer look at this rising player in the credit scoring world. 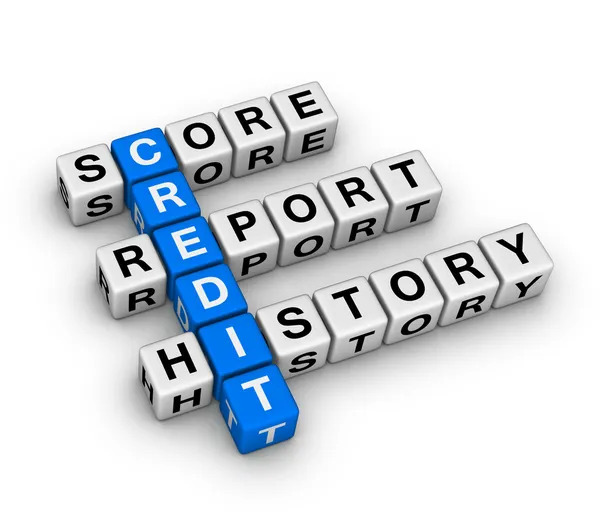 Historically, there has been one credit score that matters: Your FICO score. Produced by Fair Isaac Co., FICO takes your financial data from the three credit reporting agencies—Experian, Equifax, and TransUnion—and analyzes it to create a snapshot of your borrowing activity. This snapshot is represented as a number, your credit score, that lenders can use to determine if you’ll be a safe loan candidate. VantageScore, like FICO, offers a credit score gleaned from the reporting agencies’ data. But it uses a different model that analyzes the data in slightly different ways, and its relationship to the credit reporting agencies is also unique. VantageScore was actually created by the three credit reporting agencies as a competitor to FICO. They were tired of always having to pay FICO to create a score using their data, and wanted to have a way to analyze their data themselves without having to involve a third party. The term “VantageScore” actually refers to two different things: the score and the company that creates the score. The company is technically named VantageScore Solutions, but is commonly referred to as simply VantageScore. VantageScore Solutions, in addition to selling credit scores, functions as a research entity. As the Consumer Financial Protection Bureau (CFPB) has begun calling for higher standards in accuracy and fairness from the credit reporting agencies and credit scoring companies, VantageScore has used its computer research capabilities to explore what impact this will have on lenders and consumers, and to project how the credit rating industry will need to change to comply with the CFPB’s new rules. Establishing itself as a research authority is a clever move for VantageScore Solutions: It provides customer service and education for consumers, predictability and stability for lenders, and preserves the integrity of the credit reporting agencies and the score itself in the face of recent criticisms of unfairness and inaccuracies in the credit reporting industry as a whole. The VantageScore credit score model isn’t just a cookie cutter copy of the FICO score. VantageScore Solutions uses its computer-powered research approach to produce a number that better reflects consumer behavior over time and is more realistically predictive of future borrowing behavior. While FICO has been around since 1956, VantageScore debuted in 2006, so it is inherently a product of the digital age. Predictive analysis, big data, and progressive statistical modeling are cornerstones of VangageScore’s approach. The aim is to create a model that both works better across the board and takes into account financial situations that are characteristic of our current era. The VantageScore model uses complex computer modeling driven by big data, which has only recently become possible. One difference is that VantageScore uses trended credit data, which takes a more granular look at your debt and credit card patterns over time, rather than a static picture of your current levels. Trended credit data considers, for example, how you typically deal with your credit card: your average monthly balance, how high it gets before you start carrying a balance instead of paying it off, and whether there is a pattern to the times you tend to spend more. VantageScore Solutions is continually updating the algorithm in response to new research technology that becomes available, making its approach more akin to a tech developer than a traditional bank. Having more data points and types to draw from paints a more accurate, more meaningful picture of consumer behavior. The more data you can use and analyze, the more realistic and less pixelated your picture can be. So while FICO is still the leader in terms of how broadly it’s used, VantageScore’s scientific approach makes it increasingly competitive. VantageScore, both as a credit score and a research entity, is still a newcomer to the credit reporting landscape, so it remains to be seen how it will change how scoring works in the long term. But one thing is for sure: VantageScore Solutions, partly spurred by the new CFPB requirements, is taking a fresh, more strategic approach to how credit scores are formulated. This will hopefully be a good thing for consumers because we’ll get more accurate and fair scores that let us pursue the credit we truly deserve. For more information on credit scores and how they are calculated, visit our credit score learning center. This post was updated February 28, 2019. It was originally published July 17, 2017.